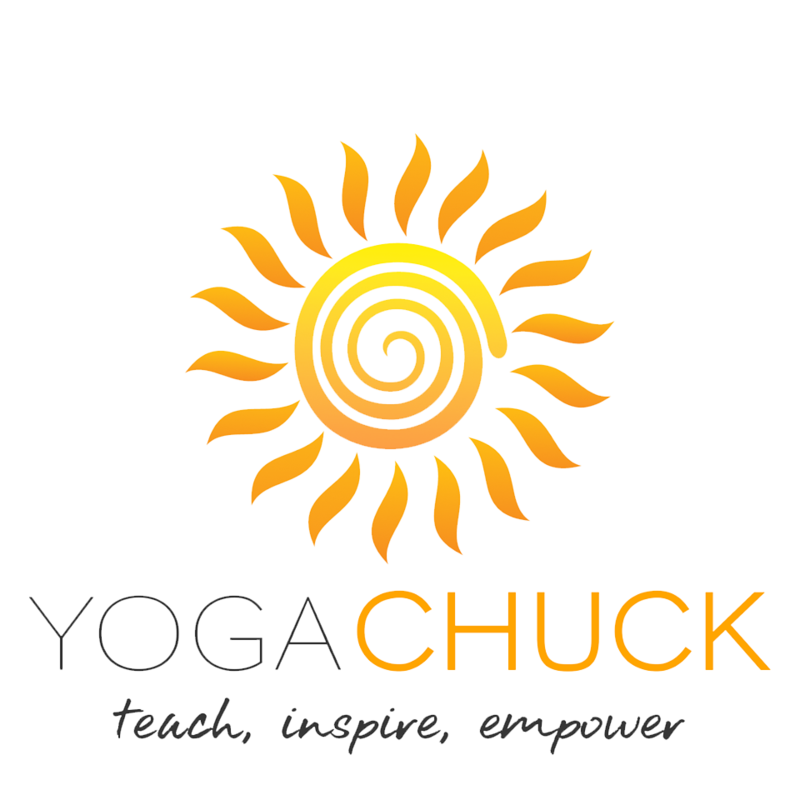 Static dip and Pull-up exercises in Yoga Chuck’s Physical Routine series. These exercises that I have been doing for years lengthens and stretches the spine, shoulders, hips, legs, and arms in what I call static dip hold and Static hang hold that I do six days a week. Quit simply I start with bars used to do dips and hold myself for twelve seconds in five different directions. First direction, I support myself vertically with the legs off the floor. Next I extend my legs forward with my heels on the floor and my spine, hips, and legs curving a little. Then the legs go back behind with the tops of my feet on the floor creating a mini back bend involving spine, hips, and legs. And the last two are the same on both sides with the legs extending to the side, feet on the floor for a side bend or lateral curve incorporating the spine, hips, and legs. Then I use a pull up bar and just hang with my knees bent enough to allow the tops of my feet to rest on the floor stretching the arms, shoulders, spine, hips, and legs. This exercise is a static hang holding for about forty seconds. In both exercises I relax my body and can feel the stretching in the arms, shoulders, spine, hips, and legs. Also the shoulders are strengthening throughout all movements as well as the wrists and hands. I believe for me the stretching and lengthening help my Multiple Sclerosis by stretching the nerves. As long as I keep a steady practice of these exercises it helps restrict tingling and numbness in the hands, legs, and feet. If this is something your interested in doing start out slow with minimal resistance to prevent injury and slowly build your body stronger. I recommend going to a fitness center like the YMCA and request help from a trainer to get you started.